Velvet ribbon with polyethylene backing UP T0 6" WIDE. Use indoors or outdoors. 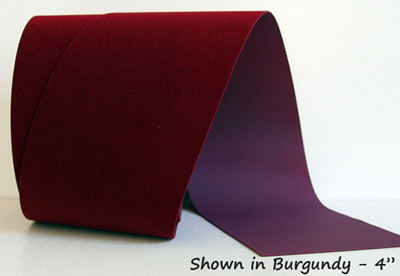 3 colors - red, berry, and burgundy. Basic velvet for Christmas ribbon and bows. Makes great BOWS for use indoors or outdoors, that will last through the entire holiday season. 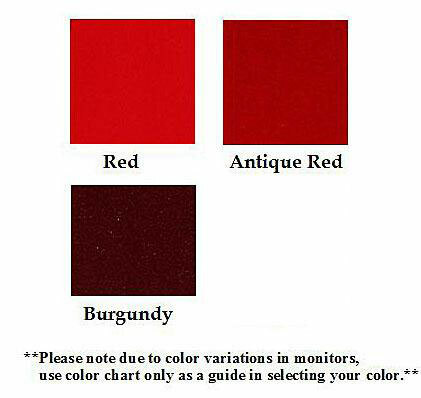 Widths: 7/8", 1 3/8", 2 1/2", 4" & 6"
....Please select Antique Red Burgundy Red .